Produce & Fuel is the latest passion project of designer and landscaper Mike Cass. Inspired by the amazing space behind the historic building at 88 Penshurst St, the name was first used in1915 when J Hannaford and his family ran their livestock and produce store in the building, named “Produce and Fuel”. The store is a plant lovers’ paradise, a fusion of pots, design, plants and of course a coffee mecca. 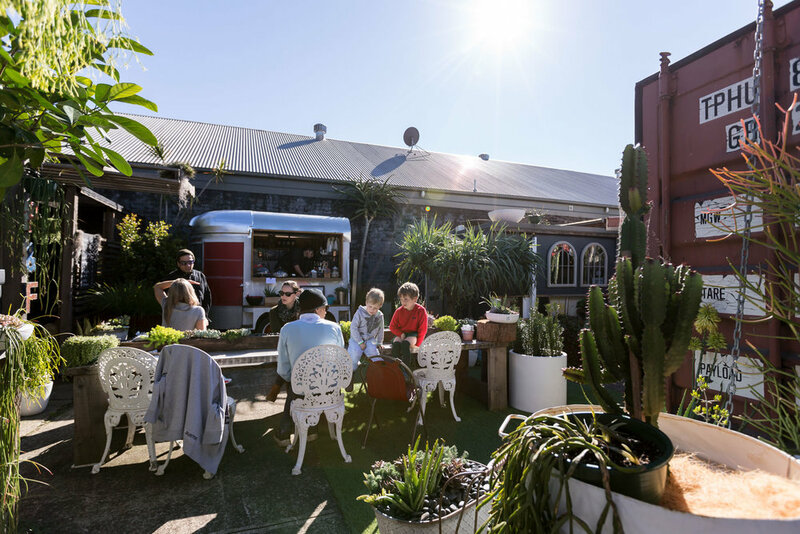 Benefiting from collaboration with the amazing creative talents at Frame 88, we at Produce & Fuel want you to retire to little private spaces to sit and chat, or meet up and enjoy the sun at the long communal table. Look at the sculpture, listen to the tunes, enjoy the art, explore the succulent creations, and be inspired by the design and the history. Most importantly, drink the coffee!! With a passion like Mike’s for great coffee, this was never going to be just another coffee place. 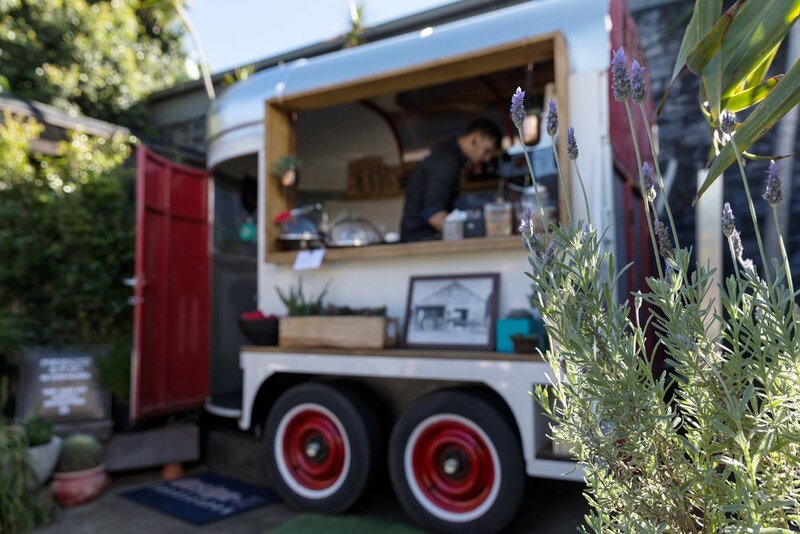 After an exhaustive search for Sydney’s best artisan coffee, Mike has partnered with our suppliers Columbian Connection.You will enjoy the craftsmanship they put into their fair trade, organic coffee grown and roasted by a farmer-owned cooperative and made with a smile by our experienced baristas… coffee is inspiration is life. In April 2015, our funky green oasis was a concrete wasteland, just an under-utilised storage area. A period of creative collaboration between Mike and long-time friend Melissa at Frame 88 brought about Produce & Fuel. Mike’s landscape design and construction businesses developed the space, with a strong ethos of utilising recycled materials to create spaces that stand happily beside the existing building. Now at Produce & Fuel you can find an eclectic mix of designer and handmade pots, outdoor mirrors, sculpture for outdoors, and bespoke tables, all for sale. We also have an ever-changing range of new and old plants, hand planted succulent bowls and hanging planters. When not collaborating with artists, playing with plants or drinking coffee, you can find Mike in the other businesses he has run for 20 years - his landscape construction team at Design-it Landscapes, and his landscape and interior design team at Mike Cass Creative. Our design office is part of Produce & Fuel, so pop your head into our space and say hi.